On November 11th we share together honouring those who gave their lives for our country. We remember the service and sacrifices of more than one and a half million Canadians. We stop to think how much Canadian families have sacrificed, while their loved ones served to protect us. They gave us freedom to live and raise our children in a land of choice, democracy, and justice. Canadians volunteered readily to serve their country as champions of liberty. They came from farms, from small towns and large cities across the country, riding high on the initial wave of excitement and patriotism. 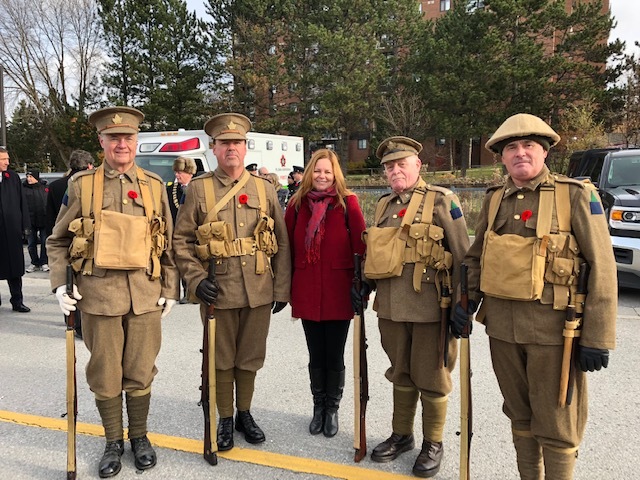 The important thing for all of us to remember is that brave men and women fought to preserve a way of life, the traditions of being Canadian, the freedom we currently enjoy. A moment of silence provides a significant way of remembering war while thinking of peace. As we pause and bow our heads, we remember those brave men and women who courageously volunteered for the cause of freedom and peace. On November 11th when we share together honouring those who gave their lives for our country let these not be the only few minutes of the year we spend in remembrance – but let us live every day thankful and appreciate all we have because of their sacrifice.